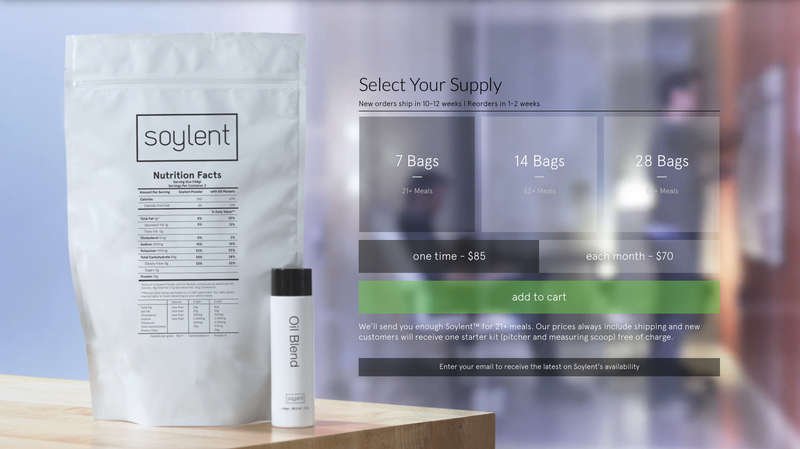 The May 12, 2014 issue of the New Yorker has an article titled “The End of Food”, http://www.newyorker.com/reporting/2014/05/12/140512fa_fact_widdicombe?currentPage=all, about a new product called Soylent. It’s an everything you need to live nutrition drink that eliminates the need to meal plan, cook, and chew. You just mix it up in a big pitcher, which they provide with your first order, and portion out cup fulls as needed to ward off hunger. It was described as being a bit like drinking pancake batter. I can’t wait to get it. Andy and I have talked of little else since learning about it. We’ve ordered our first supply. It is to be used strictly for lunches during the work week. I do not anticipate enjoying the consumption of this product. I don’t much enjoy my hastily reheated leftovers or my Trader Joe’s bags of frozen ethnic rice, especially as I race to meet the day’s deadline. On really stressful work days, I eat at my desk anyway. Why not just drink lunch and be done with it? I like to eat, I love good food and I would hate a world where triple cream brie and Italian rosemary crackers were gone. But, I find I spend a huge amount of time each and every week planning what we are going to eat, shopping for that food, paying for that food, unloading that food, cooking that food and cleaning up after cooking that food. No matter how well I do at these tasks, and I often kill it, I just can’t come out ahead. We eat everything and I have to start over. Where is the interest on my investment? I won’t stop cooking dinner and we won’t stop eating it together. I like that. But I will like it more if the kitchen isn’t dirty from lunch. To be continued. Our order won’t come for 10-12 weeks. The company is receiving $10,000 worth of orders every day. We are not the only people who want to eat people.